Robin is building a nest, and her friends are ready to help! The squirrel trims the twigs. The dog brings the string. The horse shares his straw. And then a surprise gatefold spread reveals how Robin knits them all together to make a safe and cozy home for her babies. 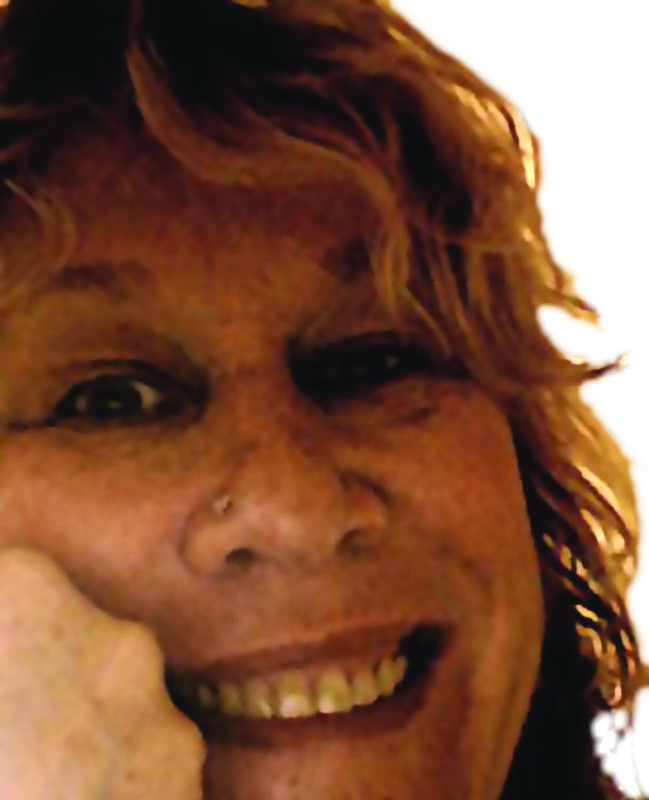 Denise Fleming has written and illustrated numerous celebrated books, including 5 Little Ducks; Go, Shapes, Go! ; underGROUND; SHOUT! ; Sleepy, Oh So Sleepy; Time to Sleep; The Everything Book; Alphabet Under Construction; Count! ; In the Tall, Tall Grass; In the Small, Small Pond, which received a Caldecott Honor; and This Is the Nest That Robin Built. She lives in Toledo, Ohio, with her husband, David Powers, with whom she often collaborates. A robin’s nest is fabricated with a little help from a squirrel and other familiar animals. Each creature contributes a key ingredient to make a sturdy abode for the bird in which to lay her eggs. When the eggs hatch they quickly grow into nestlings, “tuffed and pink,” rapidly turning into fledglings ready to spread their wings. The proud mama watches as her young ones fly for the first time. Richly hued illustrations are mixed media done using a printing technique and collage. They are expressive, textured, and show various perspectives. Vertically oriented pages support the illustrations, calling to mind the height of a tree, and are accompanied by a cumulative, alliterative, and rhyming text done in the familiar cadence of “The House That Jack Built.” VERDICT A handsome choice to welcome spring and new life that will read aloud well with a group or in an intimate setting. Like a fresh spring breeze, Fleming’s cumulative tale celebrates a favorite symbol of the season, a robin’s nest. Beginning with a squirrel “who trimmed the twigs, not too big,/ that anchor the nest that Robin built,” Fleming (5 Little Ducks) introduces several animals that provide the materials the bird needs to craft the resting spot for her “eggs, brittle and blue.” The verse is saturated with alliteration and internal rhymes (“This is the mouse/ who gathered the weeds, dotted with seeds,/ that bind the mud, soft not soupy,/ that plasters the straw, rough and tough...”), and the collage illustrations gain bold, mottled textures from the varied printmaking techniques Fleming used to treat the paper before assembling them. 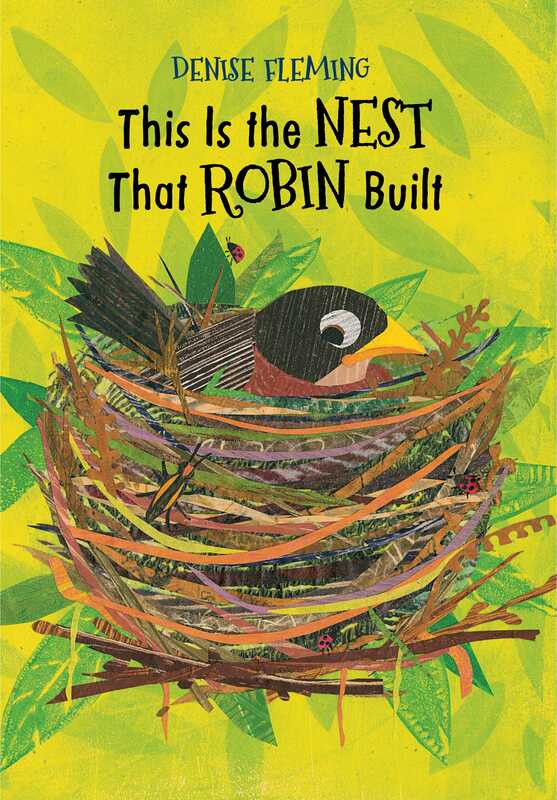 When the nestlings, “tufted and pink,” finally arrive, a foldout spread reveals all of the work that went into the nest; small vignettes show Robin combining twigs, string, straw, mud, and more to put it together. Fleming’s nature scenes pulse with electric shades of green, highlighting the hive of activity that precedes the arrival of a newborn (or three).